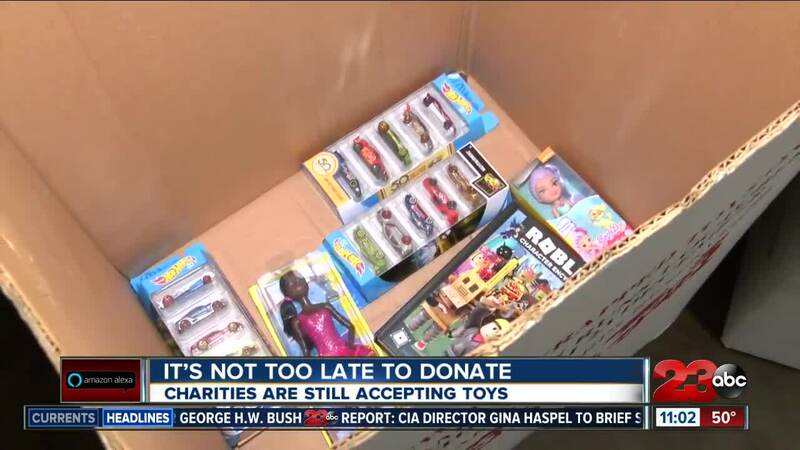 BAKERSFIELD, Calif. — It’s the season of giving and multiple non-profit organizations around Bakersfield are collecting toys to donate to children this month, but many are experiencing a decrease in the number of toys being collected this year. Darlene Doughty from Toys for Tots says they have only collected about 6,000 toys whereas last year they passed out about 23,000. Doug Bennett from Magdalene Hope says they only have 700 toys so far but last year passed out 1,000. Regardless of the organization being helped, both Doughty and Bennett say what is important is that children get the opportunity to receive at least one toy for Christmas this year. CHP Bakersfield is also holding its ninth annual CHiPs for KiDs Toy Drive and will collect toys until December 17. Click HERE to find out where you can drop off the toys.